Our technological advancements have one trajectory: up. Up the corporate ladder, up in social status, up and away from our surroundings, our physical demands, from the bore of the everyday. We are headed up, yet the happiest people in the world are the Danes sitting down to have dinner. Editor’s note: The following is an excerpt from Christina Crook’s new book, The Joy of Missing Out: Finding Balance in a Wired World published by New Society Publishers. It is available on Amazon.com: Buy now. What happens when we are all immersed in our virtual realities the way we’re swimming in the sea of our smartphones? If we are able to live inside our best dreams—like immersion virtual reality promises—why would we ever want to leave? Perhaps because we have needs to meet: a baby that needs feeding, a sick spouse to tend to, a friend to visit, or an aging father to care for. To return to the central question posed by Albert Borgmann: What happens when technology moves beyond lifting genuine burdens and starts freeing us from burdens that we should not want to be rid of? Instead of rejecting our limits, we must abide in them more fully, together holding firm to our humanity with the strength of a giant. It is time to turn the tide. “The hatred of the body and of the body’s life in the natural world,” writes Wendell Berry, “always inherent in the technological revolution (and sometimes explicitly and vengefully so), is of concern to an artist because art, like sexual love, is of the body. Like sexual love, art is of the mind and spirit also, but it is made with the body and it appeals to the senses. When we make or fix something ourselves, we feel a fierce attachment to it, whether it be a lamp, a limb, or a marriage. Fixing is motivated work; it requires mental and bodily engagement as we connect to the particular. Repair Cafés and iRepair.com have emerged to feed the growing desire to take broken or damaged items and give them a new lease on life. Begun by Martine Postma, in an effort to increase sustainability in her local community, the first Repair Cafe opened in Amsterdam in 2009. Since then The Repair Café Foundation, a Dutch non-profit, has supported growing numbers of “hackerspaces” around the world where people come together to fix items (vacuum cleaners, toasters, even old sweaters) that would normally have been tossed out. They are finding what Berry calls “the pleasure of bodily engagement” in their work. Interestingly, the groups aren’t entirely comprised of mechanical people; some are IT workers, but there are also sewers, gardeners, editors, and even anesthesiologists. Knowing how to make repairs is a skill quickly lost. Society doesn’t always show much appreciation for people who retain practical knowledge, so they are often left standing on the sidelines. iRepair online tutorials, YouTube videos and Repair Café events create a space for valuable practical knowledge to be passed on, learned and used. In the same way, something made for us by others—whether it be a pair of mittens, a piece of furniture or a home-cooked meal—holds a sensibility that bought things don’t share. The investment of time, energy, thought and care are wrapped up in the yarn, the heartwood, and the root vegetables. It was a desire for this kind of investment that led journalist Andy Johnson to turn his hands to woodworking. Johnson grew up helping his dad, who was a painter, with home renovations. These early experiences resulted in an appreciation for not just the act of working with his hands and doing something tangible, but for the men and women who do it as a way of earning a living. As a result, growing up and into adulthood, Johnson was always making things, whether it be building a bookshelf, turning old doors into a hutch, or renovating his own house. As a journalist working at newspapers and later in online news, his daily work didn’t provide much opportunity for working with his hands. And after 10 years, his job had become more about generating traffic, baiting social media clicks, or getting on top of the latest “trending” topic on Twitter. Johnson felt more desperately than ever the need to be doing something tangible with his 40+ hours per week. Johnson traded in his byline for a ticket to California to study woodworking at College of the Redwoods, one of the most well-respected woodworking schools in the US. Following in the tradition of legendary cabinetmaker James Krenov, whose books had inspired Andy for years, Andy is learning about commitment to craftsmanship, the subtle use of hand tools and techniques, and woodworking basics such as dovetails and mortise-and-tenon work. It’s this longevity, this power and meaning in permanence, that speaks to Johnson, who plans to open his own custom-order shop in Toronto. Putting together a good old-fashioned made-by-hand gift for someone doesn’t have to be something complicated, just something simple showing your loved one that you took some time. It could be a handmade card, some banana bread, a handwritten letter, a collage of pretty pictures, or a quirky little figurine—something from the past, packaged up with care. The other evening, instead of texting my next door neighbor to ask a question, I bundled my two elder kids up and scurried across the front lawn in -15°C winds. Instead of firing a couple of short texts back and forth (which seemed like better judgment once we were outside, freezing) my neighbor and I stood on the front porch talking about the challenges of parenthood. And then I saw it: the crack in her demeanor, tears at the ready. My neighbor was needy, and my physical presence let it come out. Consider this scenario: the kind older gentleman on your block has had nothing to eat tonight. In fact, he’s had little all week. His pension check got misrouted, and he hasn’t had the wherewithal to get himself over to the food bank. Upon learning of this, you fill a bag of groceries, carry over a meal and some money to help him through. You see the need, it is at your front door, and you rise to help. If people of character are formed by attachment, local cultures and local responsibilities, this suggests that our “up-at-all-cost” mentality may be the wrong target. Our technological advancements have one trajectory: up. Up the corporate ladder, up in social status, up and away from our surroundings, our physical demands, from the bore of the everyday. We are headed up, yet the happiest people in the world are the Danes sitting down to have dinner. In 2013 the United Nations declared March 20 the International Day of Happiness, recognizing the relevance of “happiness and well-being as universal goals and aspirations in the lives of human beings around the world.” In 2014, Denmark was listed as the happiest nation in the world. Apparently, one of the key factors in their happiness can be found in their spirit of “hygge,” which translates as “coziness,” but is really more of a complex sense of intimacy, community and contentment that generally comes with having meals with friends and family. As much fun as it seems to read old classmates’ vacation plans, the reality is that passive engagements don’t truly make us content. “Happy people tend to be more spiritual and engage in more active leisure—things like dancing and joining a sports team,” says Mark Holder, a professor of psychology at the University of British Columbia. “And happy people are less likely to engage in passive leisure, like being on the computer or watching TV.” The happiest people in the world feel deeply committed to their families, neighbors and immediate community. Even in corporate America, it seems, the personal is making a comeback. 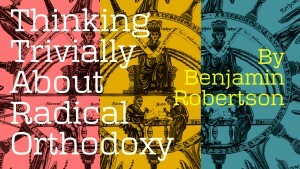 The Joy of Missing Out: Finding Balance in a Wired World is published by New Society Publishers. Purchasing a copy through the following link will send a small portion of your purchase back to Second Nature. 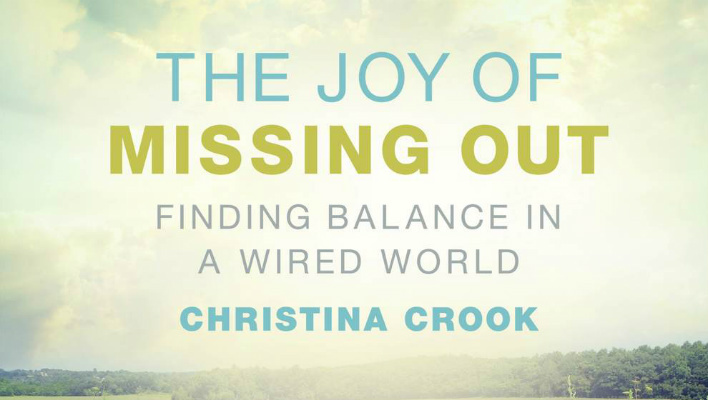 Christina Crook is an essayist and author of the new book The Joy of Missing Out: Finding Balance in a Wired World ("Utterly readable" - CBC, "Well-researched" - Ryerson University, "Timely, thought provoking" - Psychology Today.) Her TEDx talk, “Letting Go of Technology: Pursuing a People-focused Future,” was presented as part of the 2013 Global TEDWomen conference. For more information, visit www.jomobook.com.